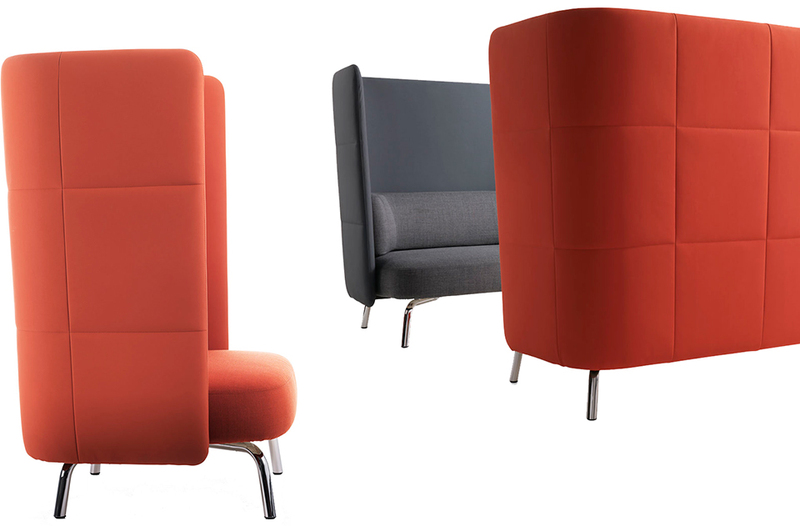 Portus seating series consist of Bench, Easy chair, 2 Seater sofa and 3 Seater sofa: Produced by Lammhults Möbel AB. Presented at Stockholm Furniture Fair, February 2015. Portus is a piece of sitting furniture intended for spaces with dense ”traffic”, as well as for the more intimate and private spaces. 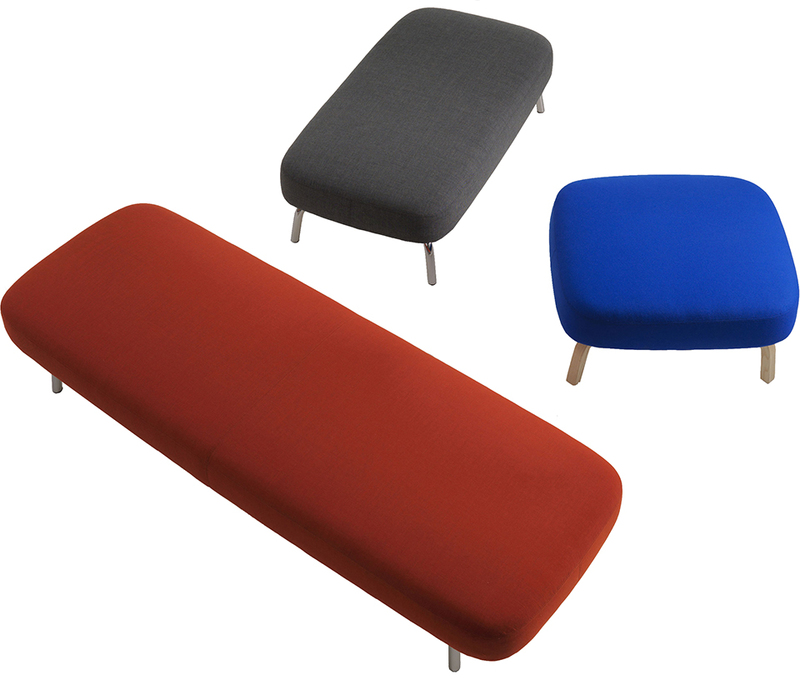 The base element within the sofa ”family” is the seat, which can stand alone as a piece of furniture in three different sizes, elevated from the the floor on one single leg frame. Tall or low ”screens” can be mounted on to the seat, and thus make space to settle within the piece of furniture as well as offering support. With their spacious architecture and their rounded forms the furniture are friendly shapes to move about. Put together in groups the tall version of the furniture with their slightly inclined ”screens” can create new intimate spaces within the space, and provide larger areas with an architectural addition. In the tall version the back is both an acoustic and a visual screen—like a “coat” that shields us—emphasized by the large quilting’s, which also make references to the modules of the architecture. The textile surfaces change character between the fabric near to the body on the seat and back cushions, which are durable and comfortable wool qualities, and the ”back screen”, which are more ”synthetic” and thus better can handle the traffic surrounding the furniture. Portus is a piece of sitting furniture for communication, rest and contemplation.